With massive amounts of data now available to hotels, it’s safe to say that all future technologies will rely on data and integrations. The need for an independent system to collect and connect all existing data for hotels has become inevitable. Enter the data platform, but what does that mean and how does it work for hotels? Check out the industry reads we've put together for you this week! 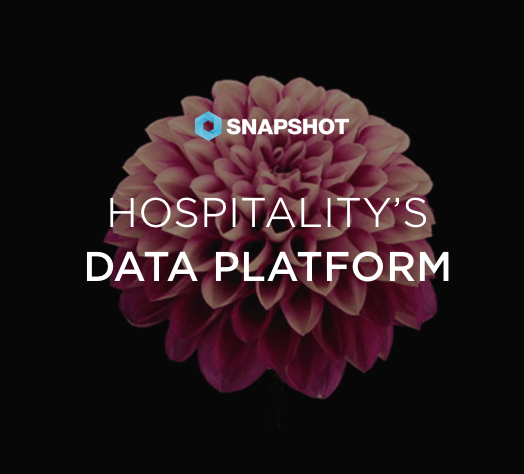 At SnapShot, we believe in flexibility and openness when it comes to data and technology. I mean, we built the SnapShot Marketplace with the idea of allowing hotels of all sizes from all around the world with different property management systems to access the hotel applications we've created and that developers have placed onto our platform. In the first read, you can catch a glimpse of where the industry is now and where it's going in regards to hotel technology integrations and application programming interfaces (APIs). It's well-known in our industry that integrations between hospitality technology providers can be costly and time-consuming, but with the way hotel technology is progressing, open APIs are seemingly becoming more popular. Read the first article to see how some hospitality vendors are responding to the increase in demand for open APIs and integrations. (With a little shoutout to our CCO and co-founder, David Turnbull!) The second read focuses on how one property management system is expanding its cloud-based software. With a recent investment of €6 million from venture capital firm Notion, Mews plans to grow its business in new parts of the world and what do you know? They offer an open platform through APIs as well! While a hotel's choice in technology provider determines much of its operations and business strategy, there are also many external technologies that affect a hotel's success just the same. One major technology influencer is TripAdvisor, where customer reviews have the power to truly make or break a hotel based on its rankings. Want to know how TripAdvisor ranks hotels? The third read breaks down the review website's algorithm to demonstrate how TripAdvisor assesses hotels. If 95% of travelers are reading reviews before they book their trips, it's probably worth seeing how TripAdvisor ranks hotels and know what your hotel can do to improve its ranking.